Parliament has ratified the Convention on Cybercrime which was laid before Parliament on 20th March, 2019. The bill is aimed at ensuring a coordination response to cybercrime issues at the regional and international levels. 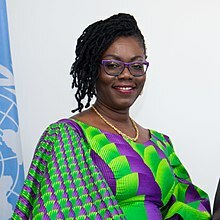 The Minister in charge of Communications, Mrs Ursula Owusu-Ekuful, in an interview with Rainbow Radio’s parliamentary correspondent, Afia Kwarteng after the ratification said, the law passed will help to scale up our efforts to protect our critical national information infrastructure. The law she noted would also help address existing gaps in our Cybercrime and cybersecurity legislation. The minister indicated that the convention will also strengthen the security service to secure relevant evidence, from crimes committed using computer systems, networks, and platforms from other jurisdiction for the prosecution of cybercrime offenders in the country. The Member for Parliament for Buem constituency, Daniel Kwasi Ashiamah, said the convention has come at a good time and underscored the need for the ministry, to provide the various institutions responsible for enforcement the needed logistics to make their work much easier. He encouraged government to boost investor confidence by providing an enabling environment to make businesses thrive.